Aubrey “Drake” Graham (born October 24, 1986 in Toronto, Ontario) is a Grammy award winning Canadian actor, rapper and singer signed to Young Money/Universal Motown. Drake shot to global fame upon the release of his critically acclaimed 2009 mixtape So Far Gone and Best I Ever Had, a single from the mixtape which peaked at #2 on the Billboard Hot 100. Drake's music career began in 2006 with the release of his debut mixtape room for improvement. The tape featured collaborations with Trey Songz, Lupe Fiasco and Nikelus F and marked the beginning of a long-time partnership with Canadian producer boi-1da. The mixtape sold 6,000 physical copies in the year of its release. comeback season, Drake's second official mixtape, was released in 2007 and featured the single replacement girl. The track featured vocals from Trey Songz and received heavy rotation on MTV and BET television networks. robin thicke, clipse and rich boy featured on the mixtape, however it was Man of the Year - a track recorded with future mentor lil wayne - which signified the start of a close affiliation between Drake and Lil' Wayne's recording label Young Money Entertainment. In 2009, Drake released his highly anticipated third mixtape so far gone to critical acclaim and commercial success. Its lead single, Best I Ever Had, peaked at #2 on the Billboard Hot 100 and has since been certified double platinum by the RIAA. 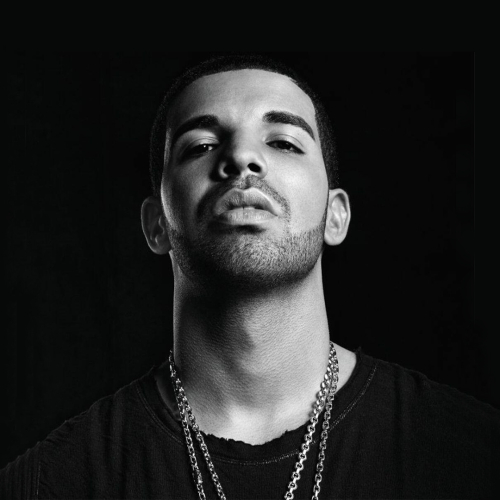 The success of the track lead to a highly publicised bidding war between several record labels to sign Drake. The rapper eventually signed a deal with Young Money Entertainment in the summer of 2009 and released an official EP version of the mixtape soon after; eventually receiving Gold status for shipments of 500,000 units. This astronomical rise to success continued into 2010 with the release of his major label debut album thank me later. After several setbacks from its original October 2009 release date, the album was released on June 15th 2010 preceded by lead single over, which peaked at #14 on the Billboard Hot 100 and at #1 on the Hot Rap Songs chart. The album debuted at #1 on the Billboard Album Chart and has since been certified Platinum by the RIAA for sales of approximately 1,100,000 copies in the US to date. It produced three further singles which attained chart success; Find Your Love, Miss Me (feat. Lil' Wayne) and fancy (feat. T.I. & Swizz Beatz). Drake released his second album 'Take Care' in November 2011 and it critically and commercially was very successful.The album spawned eight singles including the immensely popular The Motto which introduced the term 'YOLO' to the mainstream. With features from Lil Wayne, Rihanna, Kendrick Lamar, Nicki Minaj and more the album went 2x platinum in the United States and in Canada, but only managing gold in the United Kingdom. In November 2013 Drake released the highly anticipated 'Nothing Was The Same' which was also very critically and commercially succesful and has since spawned seven singles. Jay Z is the only other rapper to appear on the standard version of the album. Drake said about the album "Take Care was about connecting with my city and connecting with my past and sort of still feeling guilty that I'm not in love with one of these girls that cared about me from back in the day. Now, I'm 26, I'm with my friends, I'm making jobs for people, I'm making memories for people that will last a lifetime. I don't need to be in love right now. I don't need these things that I maybe once thought that I needed to feel normal and feel righteous about myself. I think for the first time in an album I'm content—not satisfied—but proud of where I'm at as a person." Drake announced in July 2014 that his next album would be titled 'Views from the 6', though no release date has been given. However, in February 2015, with no prior announcement, Drake released 'If You're Reading This It's Too Late' on iTunes. This marked Drake's fourth retail release with his record label Cash Money Records. Despite stating the release as a mix-tape it was made available for purchase on iTunes. As of August 2015, 'If You're Reading This It's Too Late' has sold over 1 million copies. Drake is the first artist to pass the Platinum album status in 2015. Drake released his fourth album, Views, in 2016, breaking numerous chart records in the process. Views sat atop the Billboard 200 for ten nonconsecutive weeks, becoming the first album by a solo male to do so in over 10 years. It also saw Drake leading the Billboard Hot 100 and the Billboard 200 simultaneously for eight weeks, breaking the previous record of seven held by both Michael Jackson and Whitney Houston. It also achieved triple platinum status in the U.S., and earned over 1 million album-equivalent units in the first week of its release. One of the tracks, One Dance, became Drake's first #1 single on the Hot 100, spending ten weeks on top of the chart. Drake released the multi-genre More Life in 2017. Described by Drake as a playlist, it was his seventh consecutive No. 1 on the Billboard 200, and set multiple streaming records. More Life received generally positive reviews and debuted at number one on the US Billboard 200, becoming his seventh consecutive number one album, while also breaking several streaming records.